Nothing is more personal than jewelry. At Poor Cat, they are able to engrave and personalize your jewelry. Poor Cat has knowledgeable and fashion forward staff to help you through the whole process of selecting the perfect piece. Whether you are buying something for yourself or as a gift, you can be sure that Poor Cat will have everything you need. 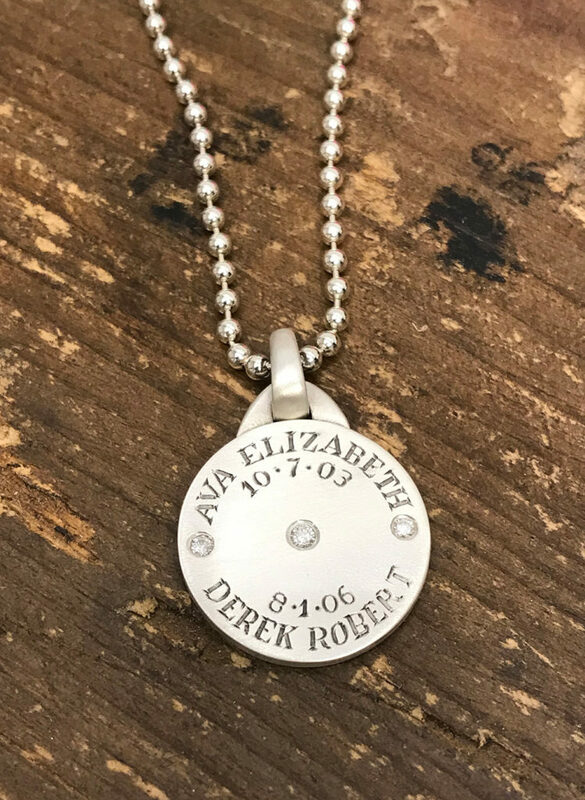 Personalized jewelry makes the perfect gift for Mother's Day, birthdays, anniversaries, Christmas gifts, or just because! Get the letters to make your initials, a charm with your favorite sport, or your zodaic sign. Personalize your jewelry even further by getting it engraved! Add your children's names or a pet's name for a little reminder of them wherever you go! Forged from equal parts creativity, craft, and curiosity, Poor Cat® is the subtle expression of both maker and symbol. Working in platinum, 24-karat and 18-karat yellow gold, 18-karat white gold, 18-karat pink gold, and sterling silver, Poor Cat’s collection captures the richness and innate energy of precious metals. The power of iconography lies in its subjectivity. Symbols denote what we desire them to be. Anything and everything can be infused with meaning. Poor Cat finds its following in this belief. Having already captivated the devotion of rock stars, celebrities, teenage trendsetters, and prominent players in the design, architecture, and fashion world, Poor Cat is ready to inspire a larger audience. Where humility graces luxury, Poor Cat perches.